There are currently 14 families participating in The Home Interaction Program for Parents and Youngsters (HIPPY). 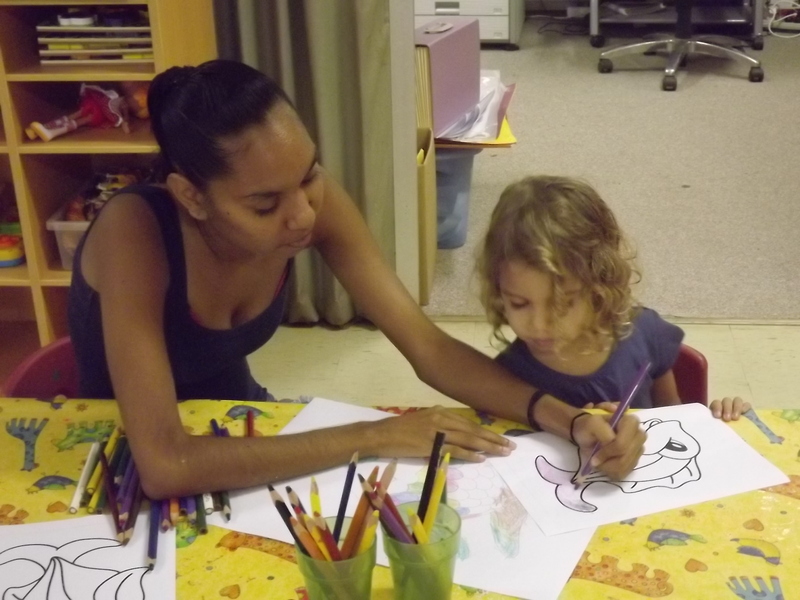 Ten families are based in Kununurra and four in Wyndham. Two of these families reside at Molly Springs. The families who are actively involved in teaching their children have given positive feed back on what their children are learning from the activities. The children have really enjoyed the activities and the parents have felt empowered as their children’s first teacher. Parents have said they are more excited and comfortable with their children’s learning at school and have also found the learning has extended in their every day life and into the community as children learn about colours and shapes. The children look forward to doing the activities with their parents and spending quality time together and they are realizing that learning can be fun. As with all new programs it’s been a challenge introducing it to the community, but we praise those families who have taken up the challenge and have stuck it out because we are sure they and their children will reap the benefits in the long run. Liz Cox has taken on the role of Tutor/Coordinator which has been full on at times keeping in contact with families plus keeping up the enthusiasm and interested, with the help and dedication of Kerrianne Trust who is the other tutor based in Kununurra.